『근사록(近思錄)』은 송나라 주희와 여조겸이 같이 쓴 책으로 성리학에 뛰어난 인물들의 글을 연구하는 개설적인 책으로서, 이론이 정연하다. 유학자들 사이에는 정평있는 역작으로 알려져 있다. 공민왕 19년(1370)에 이노숙이 평소에 구하려고 했던 것을 박상충을 통해 책 한 질을 입수하게 되자 이를 진양에서 간행하게 된 것이다. 이 책은 목판에 새겨 간행한 것으로 책끝에는 예서체로 간행자의 이름과 간행된 곳이 적혀있고 ‘홍무 3년’(공민왕 19년, 1370)이라는 간행년도가 쓰여 있다. 간행년도를 표시한 ‘홍무(洪武)’의 연호에서 ‘무(武)’자가 빠져있음은 고려본에서 흔히 발견되는 특징이다. 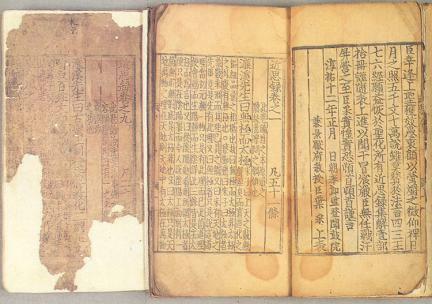 An anthology of distinguished Neo-Confucian writings, Reflections on Things at Hand (Geunsarok, or Jinsilu) was compiled in 1175 by two great Song thinkers, Zhu Xi (1130-1200) and Lu Zuqian (1137-1181). 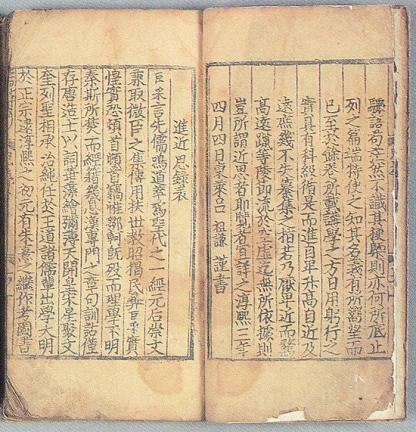 The solid logic in the writings made the book an essential reading for Confucian scholars. 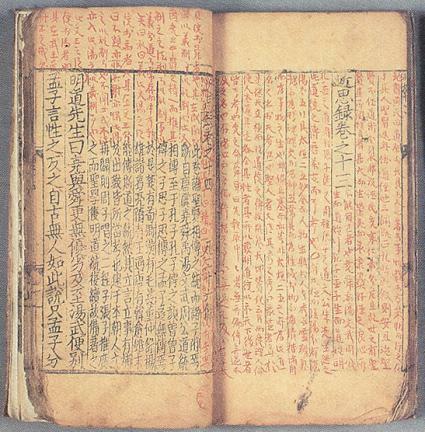 This particular edition was published in Jinyang in 1370 by a Goryeo scholar-statesman Yi In-min after he received a set, which he had long cherished, as a gift from his friend Bak Sang-chung. 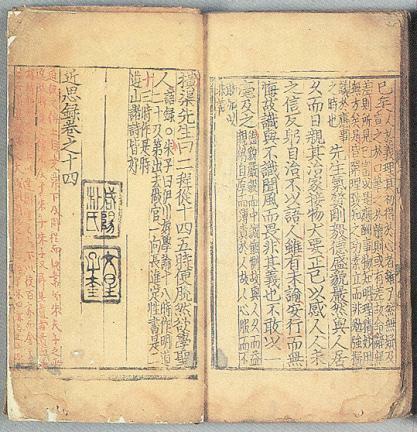 The book, printed with woodblocks, contains a colophon providing the name of the publisher and the place where it was published, all in ornamental seal script, as well as the date of publication, that is, 1370. 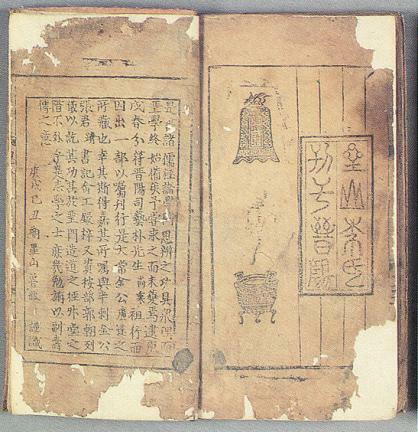 The omission of the character Mu (武) in the reign title Hong-Mu (洪武) signifying the year of publication shows that it was a book of Goryeo (918-1392).